Well I can hardly believe that it`s already 2014, how times flies. I guess it`s a time to reflect upon all thing that happened in 2013, good and bad. It is also a time to reflect upon the new year|- a fresh start to how you want things in your life to be and put your best foot forward to embrace the great things in your life. To start this year focused on the things and people that bring you joy that put a smile on your face and that make you laugh. It should be a time to slow things down and to live life not to let life live you. For all of you that have stopped by I want to wish each and everyone of you all the peace, joy and comfort that you deserve. Have a great new year filled with love and nothing but wonderful things. All the very best in 2014. The hop will run for 1 week and end on Friday 10th January at 12 Noon EST, when the lucky winners will be announced right here. To start off this year, I have started it by making this cute card with a super cute image from Whimsy Stamps called Yarn Guard from designer Miss Rach. 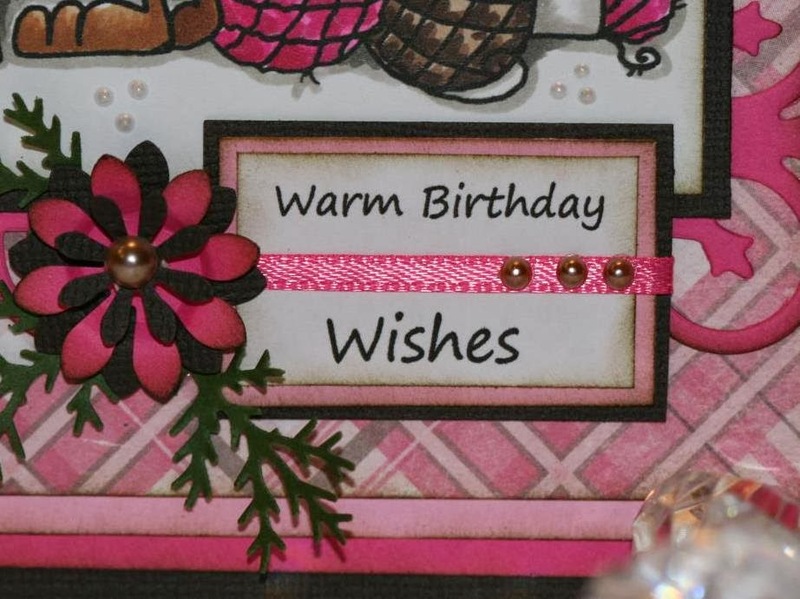 I wanted this card to be bright and cheerful so I decided pink would be fitting. I colored it with copic markers and kept the color scheme pink and browns. A bit of close picture of the image. 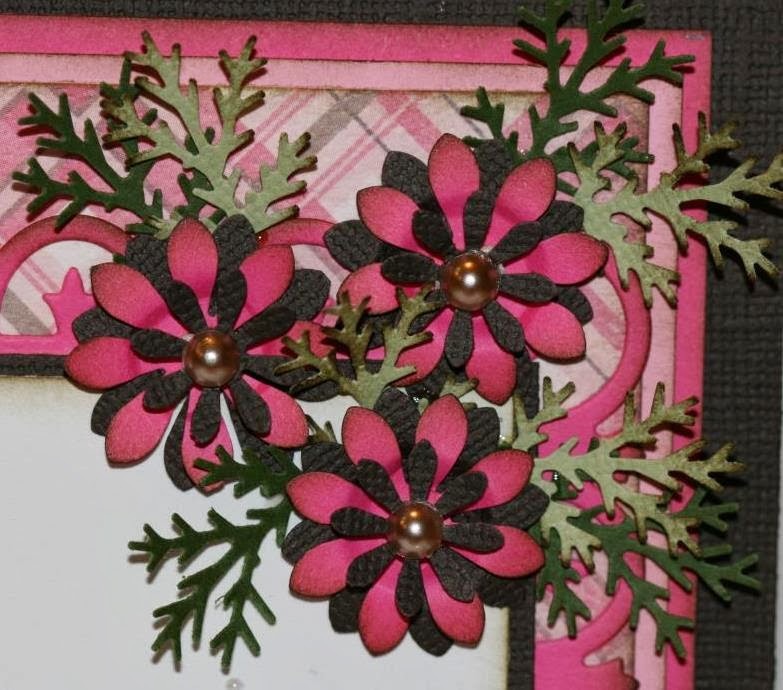 A picture of some flowers that I made using a couple great paper punches. You made a lovely card with that cute image. Gorgeous card with a funny image! Great colors. Thanks for sharing your sweet card. I love it. Love this image. You've done a nice job coloring. Love the color combination and the black/pink flowers. Very sweet. Adorable image...fabulous card!! I love pink & brown together! Wonderful yet again you have out did yourself...bright, pretty, and the image is super cute. Great job! Stunning card! The color scheme you chose really stands out. 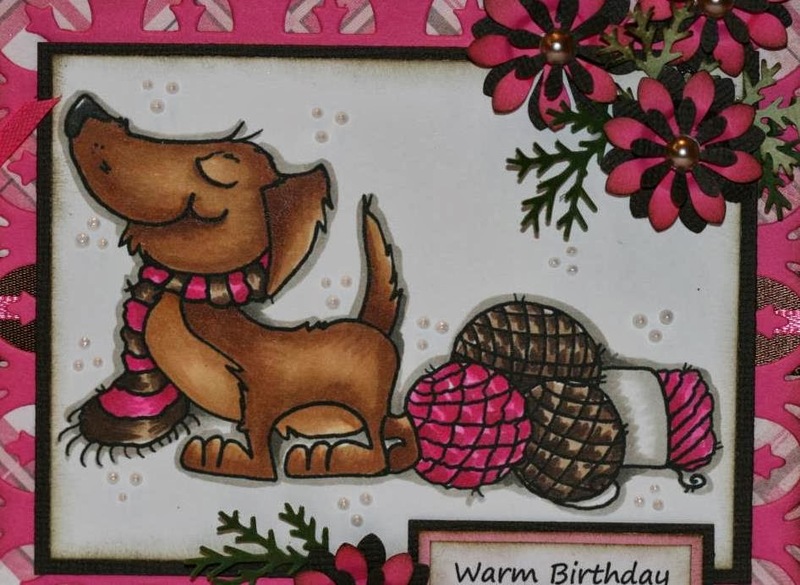 Great design on the card and I love the coloring of this super cute image! What a beautiful card. yes i couldn't find a card for the blog hop on the previous blog, but i will go back and dig deeper to find it!! 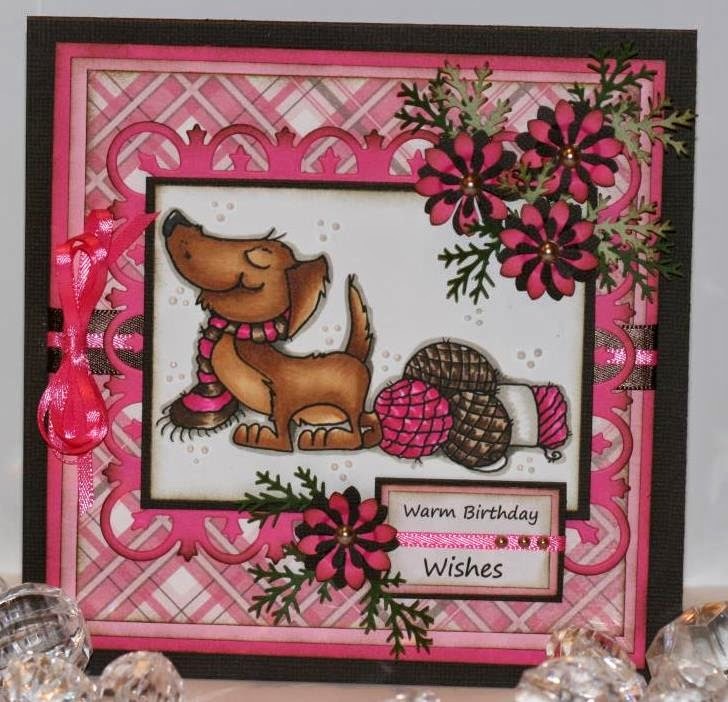 what wonderful colors on your card!! This image it´s so adorable. And I love the way you coloured it.